The IWDG has just published an Atlas of the Distribution of Cetaceans in Irelands Offshore Waters. The Atlas is a culmination of six years of survey effort involving 1078 days at sea and over 5000 hours of survey effort. The Atlas contains the most comprehensive and up-to-date maps of the distribution and abundance of cetaceans in Irish and Northern Irish waters and endeavours to do so in an easily accessible format suitable for use by scientists, administrators and members of the public alike. 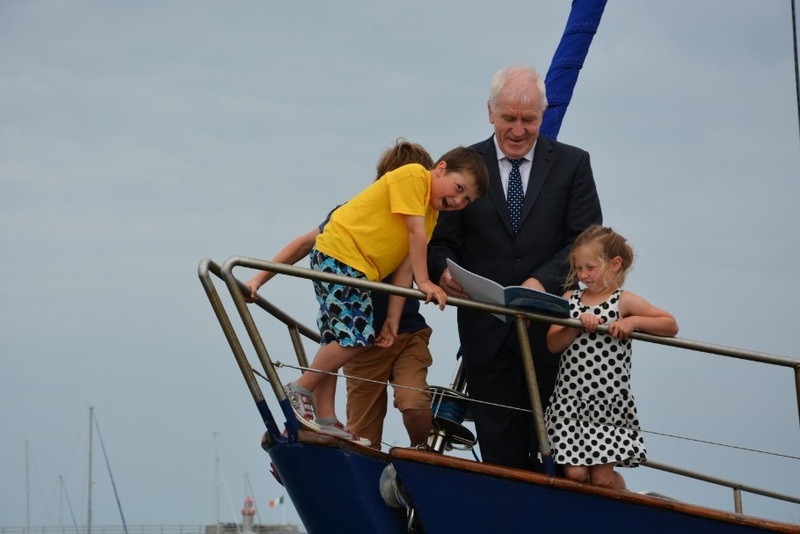 The Atlas was launched on tuesday onboard the new IWDG research vessel Celtic Mist by the Minister of Arts, Heritage and the Gaeltacht, Jimmy Deenihan TD in Dun Laoghaire Marina. At the launch the Minster acknowledged the huge effort taken to produce the atlas and congratulated the IWDG on its continued work. The surveys were carried out over a six year period (2005-2011) and included 3300 sightings of 19 species of whales, dolphin and porpoise and two seals, totalling 35,000 animals were recorded. The Atlas shows great variation in the use of marine habitats by the different cetacean species which occur in Irish and Northern Irish waters. Many cetacean species are still widespread and abundant in Irish waters, these include harbour porpoise, common dolphins, pilot whales and sperm whales, which may be the most common large whale species in Irish offashore waters. Fin whales have shown a marked increase in distribution and occurrence when compared with data sets collected at the start of the last decade. However there has been an apparent decline in some cold water species with Atlantic white-sided dolphins and, in particular, white-beaked dolphins showing a significant reduction in distribution and abundance in Irish waters. The Atlas raises the need for deep-water species to be further studied and considered in relation to conservation assessment and assessment of environmental impacts … particularly in the light of recent increases in oil and gas exploration activity along the Irish shelf edge. Similar consideration needs to be given to large baleen whales such as fin whales, blue whales and humpback whales, for which these shelf edge waters represent an important seasonal migratory corridor and opportunistic feeding area. The IWDG hopes that this atlas will provide a useful tool for researchers, government agencies and those tasked with assessing the potential impacts of marine development, fisheries and resource extraction on marine mammals and marine ecosystems. 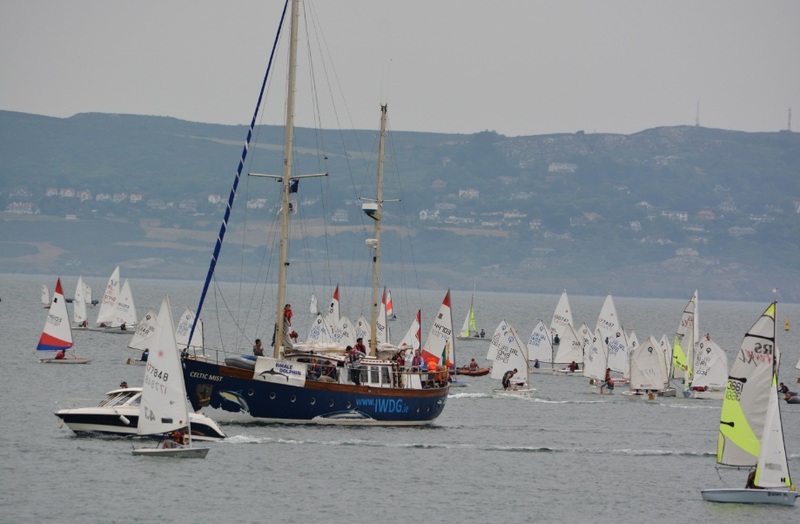 We also hope it helps to spread the conservation message to the public at large that Irish waters are among the richest and most important in Europe and the North Atlantic for whale and dolphin species. The Atlas is a culmination of a number of projects including PReCAST, funded by the Marine Institute and the National Parks and Wildlife Service, ISCOPE funded by Marine Institute and NPWS and also the Heritage Council, the Northern Ireland Environment Agency and the IWDG. The IWDG would like to thank these funders and especially Dr Eamonn Kelly of the NPWS for his drive and initiative to ensure this work is carried out.